During World War I Pope Benedict XV made repeated but forlorn pleas for peace, and finally, in May 1917, made a direct appeal to Mary to intercede for peace in the world. 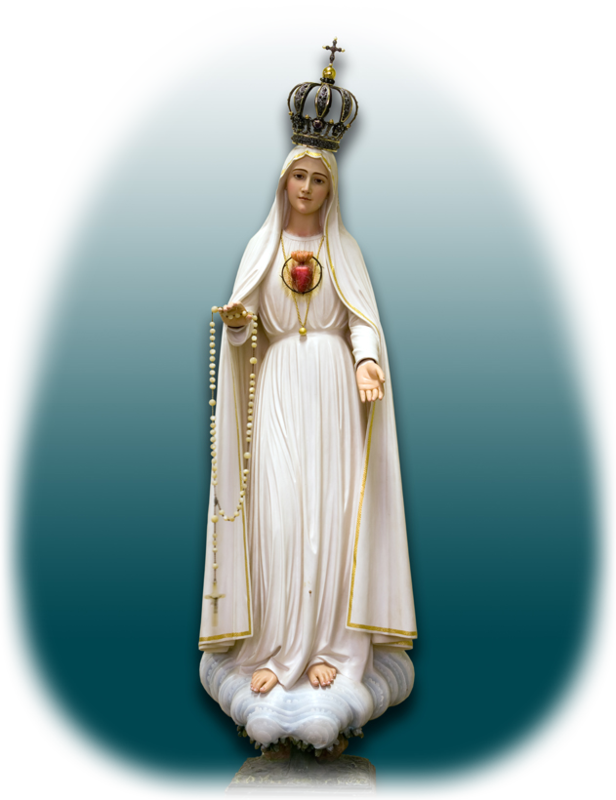 The response was Mary’s first appearance at Fatima just over a week later. At this time Fatima was just a small village about seventy miles north of Lisbon; the three children to whom she appeared were Lucia dos Santos, aged ten, and her cousins Francisco and Jacinta Marto, brother and sister, aged eight and seven respectively. 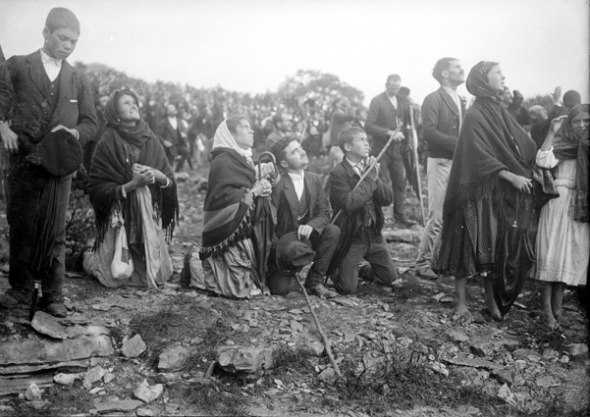 As 13 August approached, the story of the apparitions had reached the anti-religious secular press, and while this ensured that the wh ole country knew about Fatima, it also meant that many biased and negative reports were circulating. The children were kidnapped on the morning of the 13th by the Mayor of Vila Nova de Ourem, Arturo Santos. They were interrogated about the secret; but despite his threats and promises of money, they refused to divulge it. In the afternoon they were moved to the local prison and threatened with death but determined that they would die rather than reveal the secret. 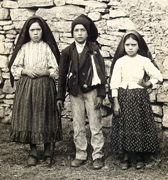 On August 19, Lucia, Francisco and Jacinta were assembled at a place called Valinhos, near Fatima, late in the afternoon, when they again saw Mary, who spoke to Lucia: “Go again to the Cova da Iria on the 13th and continue to say the Rosary every day.” Mary also said she would perform a miracle, so all would believe, and that if they had not been kidnapped it would have been even greater. By now the children had thoroughly absorbed Mary’s plea for prayer and penance, and did everything they could to answer it. They prayed for hours while lying prostrate on the ground and went as long as they could without drinking, in the burning heat of the Portuguese summer. They also went without food, as a sacrifice for sinners, to save them from hell, the vision of which had so profoundly effected them. They even knotted some pieces of old rope around their waists as a form of mortification, not removing them day or night.